Message 1420569 - Posted: 26 Sep 2013, 16:14:36 UTC - in response to Message 1420462. It says that if you have more than one project running at once. Pause everything else to verify. I downloaded but it says it is suspended because your device is busy with other apps. Not running anything other than what I usually have running. Message 1420787 - Posted: 27 Sep 2013, 0:03:14 UTC - in response to Message 1420462. That message means something else is using your CPU. It could be a background process (like checking for updates). The message should go away after a while. even after reading these previous posts , I still choose to try. However, after several searches with google play store , I did not find the app. Message 1421724 - Posted: 28 Sep 2013, 23:43:38 UTC - in response to Message 1421713. Do you have to update Play? Message 1421740 - Posted: 29 Sep 2013, 0:05:41 UTC - in response to Message 1421724. Message 1421753 - Posted: 29 Sep 2013, 0:30:25 UTC - in response to Message 1421740. AndroBOINC isn't the official BOINC client. BOINC is. I suppose it might still work, but don't report any bugs from AndroBOINC here. Message 1421754 - Posted: 29 Sep 2013, 0:30:53 UTC - in response to Message 1421724. Message 1421762 - Posted: 29 Sep 2013, 1:06:43 UTC - in response to Message 1421753.
good post !! I installed BOINC , and it was perfect ! very easy smooth install .. and added project , simply easy an smooth !!! 3.9 percent . it's going great !!! no need for androboinc . I love the features in options to save battery power and such ! this is very nice ! 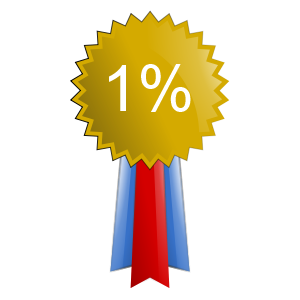 already 4.1% hehe it's movin quick ! Message 1421848 - Posted: 29 Sep 2013, 5:07:03 UTC - in response to Message 1411576. I need a direct link to an .apk installer. No, I cannot use Google Play. Google Play, in keeping with their policy of moronicism will not let me have it. This is not surprising, about 1/4 of the apps running on my tablet are 'incompatible" with my tablet according to Google. No, I do not need help with Google Play. I let them wallow in their stupidity and call it good. I just need a direct link to download the .apk from the web and it's all good. If anyone is Android geek enough to extract the .apk from their device and will email it to me, we can do it that way, too. I'll check back. Message 1421867 - Posted: 29 Sep 2013, 6:47:25 UTC - in response to Message 1421848. I want a tablet like yours ! one that omit's google's big smelly nose ! Message 1421909 - Posted: 29 Sep 2013, 9:00:24 UTC - in response to Message 1421848. I need a direct link to an .apk installer. boinc_7.2.17_arm-android-linux-gnu.apk is the latest officially available beta. Message 1421938 - Posted: 29 Sep 2013, 11:37:34 UTC - in response to Message 1411576. Why would I want to test the beta project if my main account won't get the credit for the work I process, can this be fixed? Message 1421950 - Posted: 29 Sep 2013, 12:11:56 UTC - in response to Message 1421938. It's at a different project, so no it can't be fixed, Join Seti Beta is you want to help the Android Arm testing effect, if you don't want to help, don't join, once the apps are reliable they'll be released on the Main project, but that could be months away. Message 1422075 - Posted: 29 Sep 2013, 18:00:19 UTC - in response to Message 1421938. You're not testing the beta project - you're participating in testing an application that has the potential to help everyone once it is released to the public. Why should the credits go to your main account when you're not actually producing work? The objective is to test an application, not to process work and receive credit for it. It isn't broke, so there's no need to fix it. Message 1422158 - Posted: 29 Sep 2013, 23:11:25 UTC - in response to Message 1422156. Did you create an account on SETI Beta? Your main SETI account won't work. some months ago I used another android boinc app, and I ran CPU tasks for SETI. I even have 215 validated credits from that time, on my ARMV7 processor. It's shown on my host devices. Why won't SETI (not the BETA) send any armv7 tasks in this new boinc app? I mean, I have validated work units so that should be working as fine as a normal computer. Message 1422160 - Posted: 29 Sep 2013, 23:15:27 UTC - in response to Message 1422159. SETI doesn't have an official Android app, which means that whomever released that SETI app for your ARM processor, likely was using what's known as the "Anonymous Platform" mechanism built into BOINC to allow third-parties to write applications for open source science projects like SETI@Home. Likely, this third party never updated their app for SETI@home v7 - which is distinctly different than your ARMv7 processor (one doesn't have anything to do with the other). You'll need to find out from whomever supplied the BOINC package and SETI app if they have released a newer version. Message 1422186 - Posted: 30 Sep 2013, 0:32:23 UTC - in response to Message 1422159. That was under SETI V6, but we are now using V7 which is why beta testing is required. If these WU gets validated, then my question is why we need a BETA for seti tasks for arm. Unless it's the Official Boinc client being tested there. 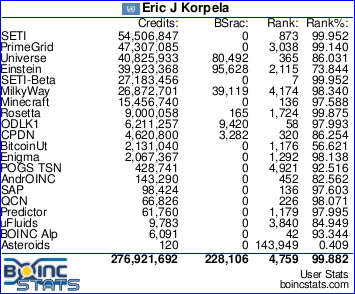 PS: that app allows me to run any of the BOINC projects, not only SETI.